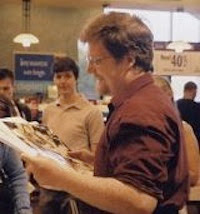 Science Fiction author Randolph Lalonde has been with Smashwords since July, 2009. Smashwords distributes him to Apple, Barnes & Noble, Sony, Kobo and Diesel. His first year at Smashwords, as is the case with most authors, started out slowly, and he earned a few hundred dollars. But then, in 2010 he had a breakout year, and he's been selling very well ever since. 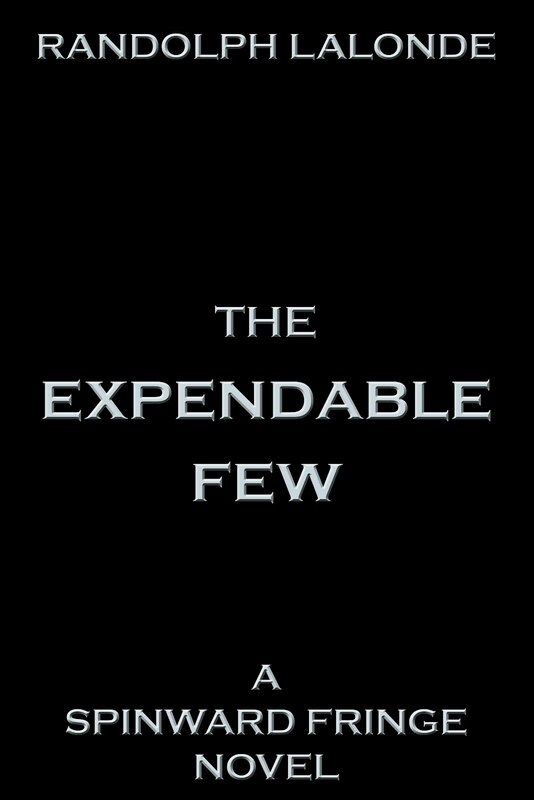 Lalonde’s newest book, The Expendable Few, is the latest in his popular Spinward Fringe series of science fiction space opera novels. He released it February 28 at Smashwords, where it is exclusively available for the first 30 days (it will appear soon at Smashwords retailers). As of this writing, it's the number one bestseller in the Smashwords store. A synopsis of the book appears at the end of our interview below. [David Weir] Did you first explore the world of traditional publishing before turning to self-publishing, and if so, what was your experience? [Randolph Lalonde] I tried to secure agency representation and publishing deals until I self-published in 2004. The submissions always came in spurts, every few years I'd send several dozen query letters out, and submit to open slush piles in several English-speaking countries. I even teamed up with an artist in an effort to break into the comic book market. Less than a quarter of my queries and submissions received a reply, and while a couple small publishers were interested in seeing more work from me in the future, they weren't interested in what I was offering at the time. I didn't talk to anyone about the rejections or my efforts in getting published because I'd often get pretty negative responses from people I knew. It was a pipe dream, I may as well have been trying to be the next Brad Pitt, or Angelina Jolie for that matter, judging from people's responses. There were a few exceptions, but most people were pretty cynical about my dream as a writer, so I stopped talking about submissions for a long time. In 2004 I stopped submitting, and went the self publishing route for the first time. [DW] Did people start taking you seriously after you self published in 2004? [RL] People started to take me more seriously, but I was going about it the wrong way, even back then. I invested money in getting copies printed and flogging the book at signing and book launch events. While I broke even, it wasn't the way to go about things, and there were a lot of people who saw their cynicism proven right. I'm glad I didn't listen to them back then, because I learned a lot from that experience. Flogging a print book is generally the worst option a fiction author can take these days. I've seen several authors try that route in the last couple years, and they still see results that are similar or worse than the experience I had in 2004. I didn't gain any respect from people I actually knew until around 2009, when I had been writing full time for several months. By then I had stopped paying attention to anyone who wasn't in my corner, and remembered everyone who was supportive all along. They are the ones who I make sure share in my dream these days, and I don't really pay attention to anyone else. [DW] How did you find Smashwords and how was your early experience? 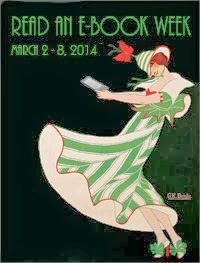 How quickly did you books take off? [RL] I was offering my books through Mobipocket, Kindle and several other small retailers, and saw that Mobipocket in particular was winding down fast. While looking for another distribution channel I found Smashwords. They offered a simple, DRM free platform that appealed to me because I was watching a lot of my early readers get frustrated because they weren't able to take their locked Mobipocket books with them to other platforms. Some of these customers had libraries worth hundreds of dollars, and the DRM didn't allow for portability or conversion. On July 31, 2009, I joined Smashwords, and it has been an important part of my distribution network ever since. [DW] When did you realize that your first book was resonating with readers and how did that feel? [RL] In early 2008 I published an optimistic space opera novella called Freeground on Mobipocket.com and was surprised to see a couple emails and reviews within the first month. I self published it because several co-workers had read it on a lark, and said it was really entertaining. It was initially written as a warm up for the Spinward Fringe series, a grittier Sci-Fi series I really wanted to pen. I was overjoyed when Mobipocket customers, not knowing me at all, mirrored my co-worker's enjoyment. By the time the third and final book in the First Light Chronicles series came out I wasn't just writing for myself anymore, and the fact that the Spinward Fringe series would have an audience drove me to work harder. (The First Light Trilogy is available for free as Spinward Fringe Broadcast 0: Origins). [DW] What's been the hardest part of self-publishing, and what has been the best part? 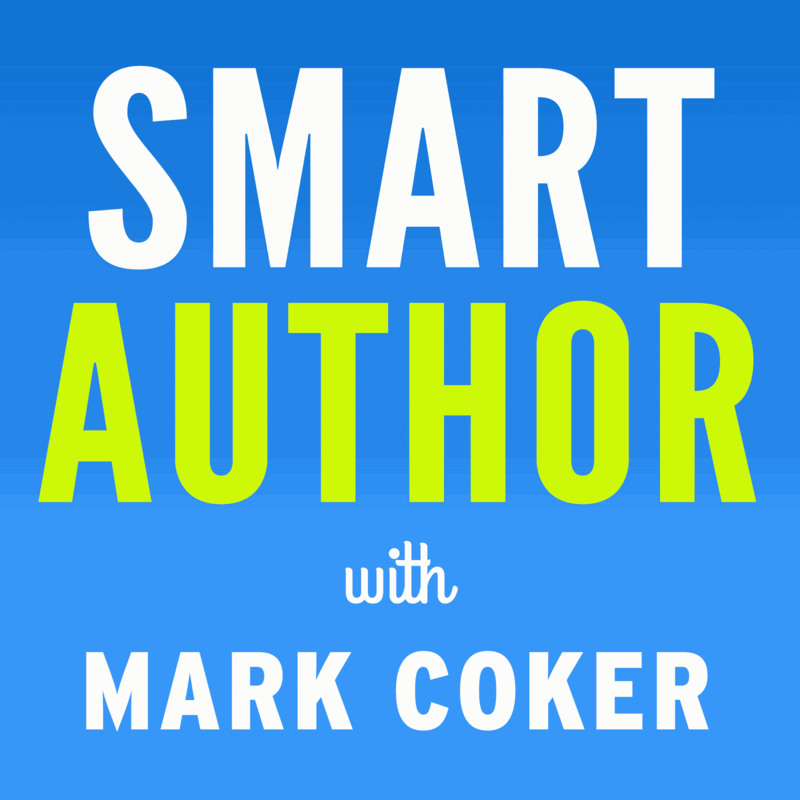 [RL] The hardest part of self publishing is knowing how much of the situation you have to control and monitor. Once the book is done you are left with the business end of things, and that includes formatting, distribution, publicity, intellectual property protection, checking reviews for spoilers, answering emails, and other things. A control freak like myself can spend most of the day trying to firmly grip all those aspects. It took me a long time to figure out the priority list, and when it's time to just leave the business end alone while I get back to the pleasure of story telling. my books come out with a professional polish -- formatting wise at least. The best part of self-publishing is the freedom I have as a storyteller, and the freedom I have in how that work is presented. Almost half the my latest book, The Expendable Few, was revealed for free on the reader forums, just because it had been a long time since anyone had seen any of my work, and I wanted some early reader feedback. Everyone got a juicy preview, and I got a lot of valuable feedback. I can't say I'd have that kind of freedom if I were with a mainstream publishing house. [DW] When did you start writing and did you always want to be a writer? [RL] I started writing short stories around the age of eleven, and completed my first full sized novel by the time I was seventeen. Since then I moved from one career to the next, using call centers as fall-back jobs when something more interesting wasn't available. I've worked as a Black Jack and Poker dealer in a traveling casino, played weekend gigs with a few bands as a drummer, managed a computer store, been a consumer technology trainer, and I've owned a design and print business. I think I've been in a lot of situations and met a lot of people that inform my writing. Through all of it I kept writing when I had time until I gave up in 2006. I didn't start writing again until 2008, after deciding to take a crack at science fiction with a story and setting that had been percolating for over twenty years. [DW] Was Sci-Fi your first love as a writer? How did you come to it? [RL] I've always enjoyed science fiction as a fan. My parents took me to see "Star Wars" when I was three years old in 1977, and I think the love affair began there. I wrote horror, suspense, military fiction, and a lot of fantasy before sitting down and trying science fiction for the first time on January 1, 2008. The closest I came to writing science fiction before then was designing a role-playing system and universe when I was a teenager. We played that for years before I returned to other gaming systems as a storyteller. I believe that dipping into many genres as a writer and as a game master for over twenty years helped me find my story telling style, and helped make me the writer I am now. [DW] What is the Space Opera genre, for those who are unfamiliar with it? [RL] The Space Opera genre normally refers to futuristic adventures set in space, featuring ships, high technology, and dramatic situations between characters. Larger than life villains also tend to be a staple, but less so these days. There are more novels featuring more realistic heroes and anti-heroes who struggle with day to day challenges coming out now, instead of epic 'save the galaxy' stories. The grand examples of Space Opera that people would recognize are "Star Wars," "Star Trek," "Battlestar Galactica" and "Firefly." [DW] What is your writing process -- how often, how long, and do you set goals for a certain number of words per session or per day? [RL] Word counting never worked for me, I always seemed to start high and taper off over time. What works these days is looking at chapters of a novel like a puzzle, and trying to find the most interesting way to put the pieces together. I try to write every day, and focus on one novel at a time unless the muse descends like a bag of hammers and I have to spend a short stint on another project. I usually get my first writing session in before 9 a.m. and then take care of some of the daily business. If I'm in the middle of a project and I've already figured out the next few chapters, I'll have another writing session or two later that day or evening. My writing sessions are typically two to four hours long. [DW] How your characters and stories come to you? For example, are they pretty much set before you begin writing, or do they develop during the writing process? [RL] I normally have a couple main characters developed before I start. These are the initial point of view characters. I often have certain scenes in mind for them before I begin, so I have a feeling for how they behave, and what their tendencies are. Other characters develop during the writing, and I usually know them pretty well by the time I've finished writing a chapter in which they've stolen the scene. Some of these have become reader favorites, even central to the series itself. [DW] Where are you headed over the next five years as a writer? Will you continue the highly successful Spinward Fringe series and if so, how many more books in it are to come? [RL] I approach the Spinward Fringe series as I would a television series in a few important respects. That series has seasons, wherein story arcs begin and end. The current arc started in Broadcast 0, and is ending in Broadcast 7. After that I'll be starting a new 'season' with Broadcast 8, which will feature a couple stand-alone books that aren't as tightly connected to future novels as Broadcasts 0-7 were. Having a story arc that threaded through eight books was just too long, so I want to tell stories that are a little more compact, but just as entertaining. As long as there are stories left to tell in the Spinward Fringe universe, I'll keep adding to it. [DW] Do you envision attempting books in other genres in the future? [RL] Other than the Spinward Fringe series, I'll be finishing work on a Fantasy Adventure novella and continuing work on a Horror Adventure novel this year. I also have a few ideas for one-shot books that range from comedy to straight up horror, so if I stop having new ideas tomorrow, there's enough material scrawled in notebooks to last me at least the next five years. I'm sure I'll have more ideas though, that muse is always up there somewhere, ready to dive-bomb my brain. [DW] If you had one tip for an aspiring author who's having trouble taking the plunge, what would it be? [RL] Write, keep writing, and finish everything you can. Sometimes it'll feel like you're just punching a clock and putting in a couple hundred words because you should, other times you won't be able to get to your word processor fast enough. What's important is that you do it, and you complete as many projects as you can. When you find a story you love, with characters you can't forget for long, and people you trust have told you it's entertaining, then you should find someone with the right education to copy edit your work. Once you're confident you've done the best job you can on the polish your baby deserves, release it out into the world. If you love the novel you've written there's definitely a few like-minded people out there who have been waiting to love it too. [DW] And, what is the best thing about being a writer, for you? [RL] I enjoy exploring worlds with characters I'd like to know, or love to despise. Writing is a way of doing that without looking absolutely crazy. Without my writing habit I'm sure I'd be that guy you see who talks to himself in public and carries on with imaginary people. Freeground Nation’s borders is proven by an oppressive government. destination, but will they survive to reach it? I really appreciated so many points from interview, especially those I've struggled with at times or have been experiencing lately. I think one of the biggest is getting one's "priority list" in proper order. The other is: "finishing everything you can." Although I write in a variety of genres, sci-fi was my first love also. It helped me to read of how to strike a healthy balance between the marketing/advertising side and the storytelling side. This is a valuable interview. ..and is it possible for me to be interviewed?